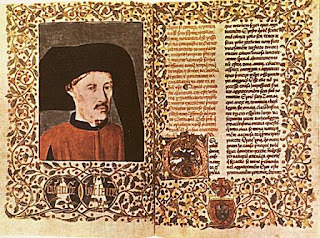 Zurara succeeded Lopes in 1454, and intended to continue his plan of writing the chronicle of all the Portuguese kings until that date. Literally less gifted Lopes, Zurara had yet to hard him the fact of report events more or less contemporary, resorting to not only oral testimonies, although submitting them to a scrupulous examination. Zurara is valuable especially as the initiator of the overseas expansion historiography, with the Chronicle about the capture of Ceuta (made ​​in 1415) that will culminate on Os Lusíadas (1572). His historiographic method differs from Fernão Lopes on some essential points, and results in a reversal: he is concerned with people, individuals, and not with social groups, testifying a chivalrous conception of history, meaning that isolated action of the rider prevails over that of the masses. Furthermore, he shows susceptible to the influence of classical culture, visible in quotes and in certain phraseological tournaments.